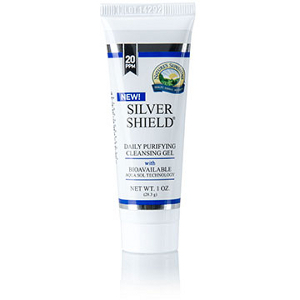 Save up to 25% on Silver Shield® Products! Liquids, Purifying Gels, Rescue Gels. Silver Shield liquid products contain pure silver colloids (20 ppm) suspended in purified water for immune system support. 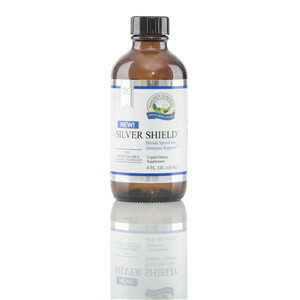 Silver Shield Purifying and Cleansing Gel helps cleanse, purify and moisturize skin with 20 ppm of silver. Silver Shield Rescue Gel (24 ppm) is great for minor cuts, lacerations, abrasions, skin irritations and first- and second-degree burns as it helps inhibit the growth of microorganisms within a skin dressing. Also on sale... Essential Shield oil blend. This combination of oils includes orange, clove, eucalyptus, cinnamon, lavender, lemon and more for soothing and penetrating properties. Enjoy your silver white winter with Silver Shield products and SAVE! • All orders must be received by 9:00 p.m. EST on January 11, 2016. • Special offer(s) not valid on prior purchases or purchases made after January 11. *Although inventories have been increased for this promotion, NSP reserves the right to discontinue any product sales due to exceedingly high demand and/or manufacturing constraints. Discounted products may not be combined with any other offer, discount or certificate. Offer valid in the U.S. only.